Get a great pay monthly deal on the Vodafone Network, all the latest handsets at low prices. Want awesome deals on flexible pay monthly contracts with great coverage and super fast 4G mobile data speeds? Then check out the TigerMobiles.com selection of phones and deals from Vodafone. They've got affordable prices, fast speeds, great handset choices, everything that you could want from a mobile network. Start shopping for the best deals on Vodafone by using our simple comparison tool below. Vodafone is the third largest mobile operator in the UK, and in 1985 were responsible for the country's first mobile phone call. 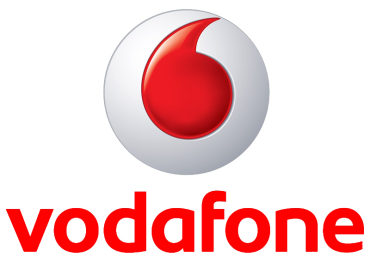 Founded in 1981, Vodafone has over 18 million customers in the UK. As of 2012 Vodafone and O2 have combined their technology, giving wider than ever coverage to the customers of both companies, and Vodafone customers can expect coverage in 99.7% of the UK. Famous for low prices and great deals, Vodafone even offers fast 4G mobile data. Vodafone offers the widest coverage of any UK operator, with reception across 99.7% of the country. They also have a rapidly growing 4G network, giving customers access to superfast mobile data speeds. So if you're looking for great coverage and fast speeds, Vodafone is going to be a clear choice. They have a huge range of service plans to fit any need. Their Pay As You Go plans have plenty of extras, like deals that allow you to talk for an hour but pay only for 3 minutes. Their contracts are some of the cheapest around, and come in 12 or 18-month lengths, with a choice of different monthly limits so you're sure to find a plan to suit your needs. Want a mobile phone to go with your pay monthly plan? No problem. Vodafone offers everything from budget handsets to top-end flagship phones, including new releases like the iPhone 7 or the Samsung Galaxy 7 Edge. If you're a traveller, then Vodafone includes mobile roaming in 40 countries across the globe at no extra cost to you. And they're one of the only networks to offer a satisfaction guarantee. If you're not satisfied with your Vodafone service, you can cancel your contract within 30 days at no cost to you! Vodafone offers a great range of flexible contracts and tons of handsets, alongside fast mobile 4G services. They are willing to guarantee that you'll be happy with their service, and they'll even throw in mobile roaming to certain countries for no extra cost. If this sounds like the operator for you, then check out the best deals with Vodafone by using our easy comparison tool! What Vodafone Contract Phone Deals are on Offer? TigerMobiles.com remains an independently owned business and we work with lots of retailers and network providers. With no ties to a particular one, this gives us bargaining power. This allows our team to negotiate a wide choice of Vodafone pay monthly deals. Customers can then find what they need for the right price – be it unlimited minutes, text and data bundles or a cheaper contract for the infrequent user. Most of our customers opt for traditional Vodafone contracts with bundled data, minutes and texts. If you never make calls, you’ll be able to get a cheaper contract using our comparison tool. And for those who use a lot of data, we have lots of high usage data contracts that are exclusive to TigerMobiles.com. We also offer pay as you go options and SIM-only contracts for those who wish to keep their current phones or are trying to rebuild credit. It doesn’t matter whether you are looking for some of the Vodafone Red Plan deals or just want a simple minutes/texts and data bundle – TigerMobiles.com can find you the right deal to suit your requirements.